The trauma service provides around-the-clock attending coverage for care of the seriously injured at the UF Health Jacksonville Trauma One Trauma Center, the region's only Level I trauma center. The trauma service evaluates and treats over 4,000 injured patients each year from 27 different counties in Northeast Florida and Southeast Georgia. The surgical critical care service provides state of the art, life saving care for all critically ill surgical patients with a wide variety of medical conditions ranging from respiratory failure to septic shock and multiple organ dysfunction. The emergency surgery service provides care to all patients who present with a surgical emergency whether it is appendicitis, diverticulitis, or perforation of an ulcer. Attending surgeons are available 24 hours a day, 7 days a week to provide prompt care of these patients. 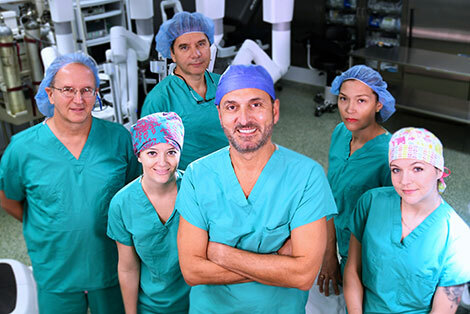 Usually, the attending surgeon can evaluate these patients within one hour of the request for consultation. On the academic front, we offer specialized clinical training to surgeons with our accredited Surgical Critical Care Fellowship Program. We offer this Website to provide information on our faculty and health care services. If you have any further questions about our division, please contact us. Thank you for your interest in our division.